The world of Cloud continues to expand within the channel, and StructuredWeb is excited to sponsor a new chapter of Channel Visionaries – The Cloud Channel Series 2015. This industry event will be held next week, November 17th and 18th, in San Francisco, California. The highly anticipated event will focus on leading cloud solutions and showcase the industry’s most visionary speakers talking about how they are combining out-of-the box thinking and proven strategies to successfully open new channels. Among the noted speakers will be StructuredWeb’s very own VP of Sales & Marketing, Michael Coscetta, whose featured presentation, “Intelligent Automation: The Future of Channel Marketing in the Cloud” will showcase how newly emerging technologies can be used in Channel Marketing to transform channel programs, eliminating the partner execution gap and driving revenue. The presentation will explore new possibilities in the field of Channel Marketing now enabled through advanced technologies and demonstrate how such technology should be used in tandem with best practice Channel Marketing to reach new heights of effectiveness and efficiency in the Channel. Michael will be speaking on this topic Tuesday, November 17th, from 2:15 to 3:00pm. With confirmed speakers such as Hank Humphreys (Channel Chief at Dropbox), Renee Bergeron (VP WW Cloud Computing at Ingram Micro) and Steven Dietch (VP, Cloud Go-To-Market, Cloud Business Unit at HP) this event will be informative, productive and is truly a must-attend event for anyone in Channel. 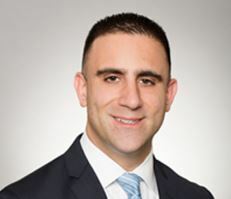 Michael Coscetta is the VP of Sales and Marketing for StructuredWeb, a leading provider of channel marketing software and solutions to global tech companies such as Intel, Cisco, VMware, EMC, GE, Canon, and many others. Simply put, StructuredWeb helps companies leverage their partners’ digital connections to reach, influence and drive more end customers to buy their products. Prior to joining StructuredWeb, Michael was a sales and go-to-market consultant for dozens of tech startups, including one that was soon acquired for $1billion+. Michael has extensive experience with sales, B2B sales training, SaaS sales training and channel marketing and is a graduate with honors from Harvard University. Learn more about him on LinkedIn.